Published by: Acclaim, 1987 | Developed by: Rare, Ltd. 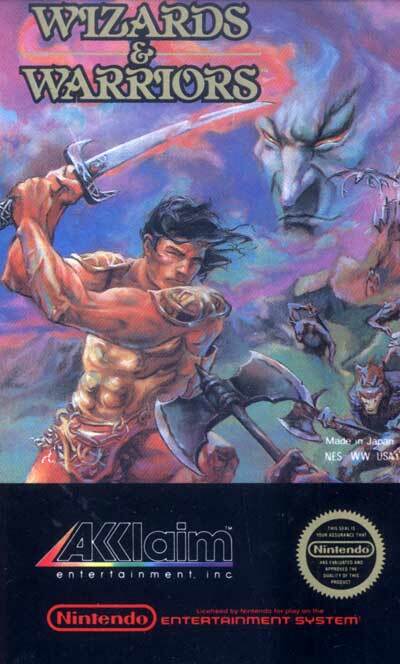 The game's hero, Kuros, must fight his way through eight areas of the Kingdom of Elrond in order to save the kingdom's princess, who has been kidnapped by the evil wizard Malkil. Most levels have two objectives; first, Kuros must collect a certain number of gems in order to get past an invincible guard in each level. In most cases, the door which is being guarded leads to the level's boss. Although the game is considered to be quite challenging, the player is aided with unlimited continues with the only penalty being that the score is reset to 0.